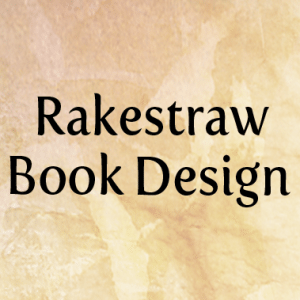 Self-publishing is booming, and Rakestraw Book Design is ready to offer many services authors need to prepare their books for publication. We’re a small family business that believes every book deserves to be the best it can be. So, what can we do for you and your book? Every book deserves to be edited and proofread. Heck, I’m an editor and I don’t edit my own books. Why? Because I’m too close to my own words. Our editing department offers comprehensive services ranging from proofreading to full content editing. If you’re not sure what type of editing your book needs, I’m happy to take a look at a sample and give you my recommendation. I know that many authors are working on a tight budget these days. We offer payment plans for those that prefer them. We also offer a nice discount for those who can pay in full for editing services. As the editor of the company, I work with several clients at once. This helps keep our prices affordable. My son Callum helps with proofreading. He’s an excellent proofreader and writer. If I do the editing, he does the proofreading. Next comes formatting. We offer formatting for both ebooks and print. Ebook formatting varies depending on where you want to sell your book. Amazon uses a different format than Smashwords, though Smashwords will then format your book into several different files that can be used by many different readers. Nook, iPads, Sony, and many other readers use epub files. Let me know where you want to put your book and I’ll let you know what we can do. Print formatting involves interior design with page numbers, chapter headings, and more design options than you get with ebooks. We’ve designed books for CreateSpace, Lightning Source, and independent print houses. Finally, they say you can’t judge a book by its cover, yet readers choose books by their covers every day. Our cover artist, my daughter Morwenna, has designed some beautiful covers for books published on Amazon, Smashwords, CreateSpace, and Lightning Source, so she’s familiar with their guidelines. Please feel free to contact us with any questions you may have about our services. We have a very easy to use contact form on our website. Emails are usually answered within the hour unless I’m away from my desk.